Vikki Lenore is beauty enthusiast who has worked in the salon industry for over 20 years as a manicurist, hair stylist and massage therapist. She has learned to use professional beauty products on men and women in order to enhance their natural beauty, health, and well-being. 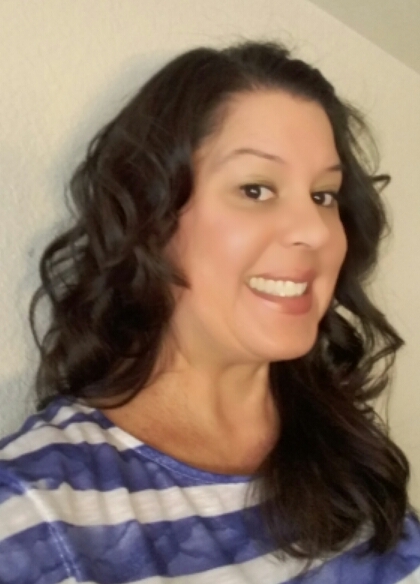 As a mother Vikki also loves to save money and enjoys sharing many of her experiences in trying natural products as a way of staying healthy, keeping up with the budget, and staying beautiful at the same time. Vikki received her certificate of Cosmetology in 1998, through The Santa Maria Beauty College in California. Over many years of salon experience she decided to add to her skill set and get her massage license. In 2005 she received her massage therapy license through Crystal Mountain Massage School in Albuquerque, NM. Recently, Vikki finished the courses she needed to recieve her BA in English from the University of New Mexico. It is through education and a love of learning that Vikki is able to grow and continue her love of beauty, writing, and arts and crafts of all kinds. Vikki has immersed herself in the beauty industry, including that of massage therapy, for the purpose of a healthy mind and body for over 20 years. She has experiences including that of make-up application, nail care, skin care, hair care, and the importance of keeping a healthy mind and body in order of pursuing the physical appearance of beauty. Vikki has self-published two educational picture books for children: "My ABC Animal Friends" and "How Many Monsters Can You Count?" that she is very proud of. She has also created her own website, vikkisavannah.com with her daughter that includes educational, artsy, fun printing projects for kids. It has been through raising her daughter, who is now thirteen, that she has come to appreciate the arts as a way of creating beauty of a different kind in her life. Vikki has always held a love for the arts, but it is through raising her daughter who is also artistically inclined that she developed a love for sewing, crochet, painting, drawing, and everything crafty. Vikki enjoys writing and sharing her how-to articles with pictures of the work she has completed. She has her own Etsy store and has recently added her unique crochet bookmarks to the storefront. Through many years of working in the beauty industry, getting her BA in English, and becoming a mother she has developed much knowledge and has had many experiences she is now able and excited to share with others through her writing.